"Enjoy Korean Drama Theme Songs All At Once" Singers Gather For Drama O.S.T. Concert in Japan The singers whose songs are featured as theme songs of popular Korean dramas will perform on one stage to sing beautiful songs. Korea Culture & Contents Agency will introduce many popular Korean drama O.S.T., all in one concert called the "Drama Original Sounds Korea 2007" at the Tokyo Yupoto Hall on July 10th. On that day, the songs from "What Happened in Bali," and "Smile Again" sung by Oh Hyun Ran, Yoon Mi Rae's song from "Lovers in Paris", Kim Tae Hoon's song from "Resurrection," JUSTs songs from "Damo," "My Lovely Sam-soon," Howl's songs from "Goong" and "Goong S," Lee Ji Hoon's songs from "Billie Jean is not my lover" and the movie "April Snow," and others will participate in this show. Also, "Gayarang" will perform fusion music that mixed traditional Korean music with Korean pop. This event is promoted by the Korea Culture & Contents Agency as a showcase with the purpose of having Kpop penetrate the Japanese industry. It also expects Kpop to have a solid foundation in the industry. After the showcase is done, the participating artists will have a reception with the Japanese music industry people. In this reception, there will be a lively exchange of ideas about both Korean and Japanese music market, and the participating artists will look into the possibility and feasibility of entering the Japanese music market. In order to increase of the backing of this even, this "Drama Original Sound Korea 2007" concert will have the Japanese culture-affiliated organizations such as the Movie Industry Development Organization, Japan Recording Society, etc. From Korea, the Korea Entertainment Producers' Association will be a sponsor that will also show the new potentials of the Korean cultural contents. With a foolish mother and the need to look after her younger sister, "pretty boy" Go Eun Chan has to give up her feminine image to help support the family with multiple jobs. Because of her previous experience with Tae Kwon Do, Eun Chan has quite the bold and opinionated personality. Choi Han Kyul seems to know women well and thinks of himself as a great guy. 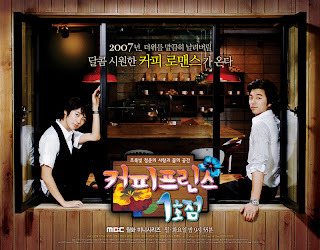 After accidentally being mistaken for a man by Han Kyul's older brother, Choi Han Seong, she starts working at Coffee Prince, and falls in love with the hot-tempered owner Choi Han Kyul. Han Kyul hires Eun Chan to avoid an arranged marrage by pretending to be romantically linked to a "gay" Eun Chan. But Choi Han Kyul slowly starts to develop feelings for her, but still doesn't believe in love. Eun Chan also starts to have feelings for Han Kyul but can't confess that she's a woman, Han Kyul, continues thinking that the agonized Go Eun Chan is a man. Choi Han Kyul thinks he's experiencing feelings of homosexuality towards her, and gets heartsick. This side of him was drawn in a risky but fun way. The part when he discovers that Go Eun Chan is a woman is shown in an undemanding way, and the story doesn't concentrate on just these two people, but also on the other people who frequent Coffee Prince. These people are shown one by one in a natural way, and since the story isn't just about romance but about the natural conflicts of all the characters. Han Kyul doesn't find out Eun Chan is a girl til the very, very end. Ha Rim is the first to find out Eun Chan is a actually a girl. Eun Chan's family used to be a well-off family until the father passed away. The mother still spends like they're a well off family, and Eun Chan has done a variety of jobs to pay off debts. The television drama series of 'Dae Jang Geum' is being created into a play.Nikkan Sports and Junichi Sports reported on the 21st that the staged version of 'Dae Jang Geum' will be performed in Tokyo in December and Nagoya in February. The newspapers reported that the series was first aired in 2003 from September to March of the following year with average viewer ratings of 47%, in Japan the following year through NHK BS, and will be aired again with subtitles through NHK-BS2. According to NHK, a popular entertainment news program 'Hello from Studio Park' for the first time invited Lee Young Ae to NHK Hall and had a special live broadcast. Approximately 3,000 Dae Jang Geum fans gathered from various areas in Japan proving the popularity of the series. The play is a condensed 2 hour 30 minute performance of the 54 episode series and is based on 'Musical Dae Jang Geum' which started in May. Jang Geum will be played by Kikugawa Rei who is known for her intelligent beauty. She is a multi-entertainer who was scouted while attending Tokyo University and has been active as a model, actress, and emcee. First starring in a play in 2005, she commented, "I am extremely excited. I admire the strength and intelligence of Jang Geum as a woman. I will try to show a different Jang Geum on stage that is just as attractive." Actress Lee Soo Gyeong and actor Kim Ji Hoon will play a married couple in the upcoming KBS weekend drama series, 'Golden Era of Daughter in Law.
' The series will focus on the power conflict between daughter-in-laws in their twenties and thirties and their mother-in-laws with a comical twist. The character Cho Mi Jin, played by actress Lee Soo Gyeon who has starred in the MBC sitcom 'Soulmate' and other drama series, is a new employee of an apparel company who becomes the daughter-in-law of a family running a pork hock restaurant with a 60 year tradition. Lee Bok Soo, the eldest son of the family and planning director of the company Mi Jin works at, will be played by actor Kim Ji Hoon. 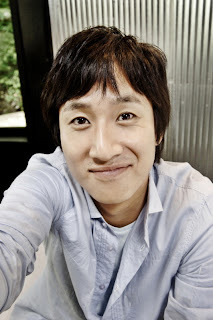 Yoon Yeo Jeong, Kim Eul Dong, Yeo Woon Gye, Park In Hwan, and other well known actors were cast of the series as well. Director Jung Hae Ryong commented, "I have been interested in Lee Soo Gyeong and Kim Ji Hoon since their debut as I saw their potential and I hope to bring out the best of them through this series." The Los Angeles Times has carried a special story on half-Korean actor Daniel Henney, who has become a major star in Korea in just two years since his debut here. The U.S. daily called his immense popularity interesting because of Henney's confession that his Korean language skills are at the level of a 12 year old, he cannot fully handle an all Korean cultural situations and that he's not yet comfortable with the Korean style of emotional expression. His soon to be released film 'My Father' is about an adoptee who comes to Korea to look for his biological parents and how he eventually reunites with his father. The LA Times cited Henney as saying that "I'm not yet familiar with the Korean father and son relationship but fortunately, I am in the same position with the character I played in the film." Jang Nara and Kim Jung Hoon are leading the way to promote Korean dramas which have been losing popularity in China. The two are attending STVF 2007 as publicity ambassadors of Korean dramas being held at the Shanghai New International Expo Center in China. The Korean Broadcasting Institute announced on the 13th, "Jang Nara and Kim Jung Hoon attended the 'Korean Day' events including the appointing ceremony, fan autograph sessions, and others on the 12th." Jang Nara who has been active as a singer and actress in China joined the group after her solo concert in Beijing on the 8th and 9th. 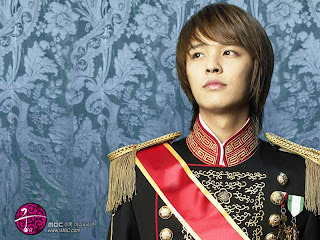 Kim Jung Hoon who has become popular from the drama series 'Princess Hours (Goong)' was also cast as the main character of 'Yeon Ae Byung Beob (Love Strategies),' a joint drama production of China and Korea. The 'Korean Day' event the two attended gathered the attention of the press, but once again reflected the declining export of Korean drama series to China. KBI commented, "The declining export of Korean drama series is also happening in Shanghai. We must place efforts in creating more joint production projects amongst various Asian countries to change the one-way exporting image of Korean content, and must establish a supporting system for such efforts." Korean actress Han Chae-young (27) has tied the knot with a successful businessman Choi Dong Joon (31) at Shilla Hotel in Seoul over the weekend.